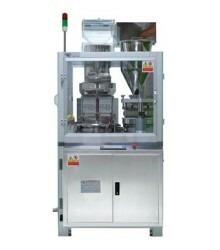 Chin Yi Machinery Co., Ltd.
Automatic Capsule Filling Machine, Semi-Automatic Capsule Filling Machine, and Food Machine. A. DIY modular assembly----Our machines are designed through a modular assembly concept, allowing for easy repair and maintenance. Our customers do not need extensive training to repair our machines, thanks to the DIY approach to construction. 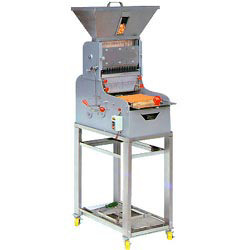 A. DIY modular assembly---Our machines are designed through a modular assembly concept, allowing for easy repair and maintenance. Our customers do not need extensive training to repair our machines, thanks to the DIY approach to construction. 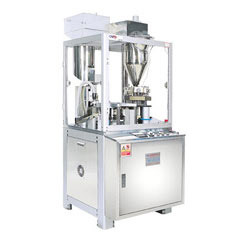 * Better accuracy, average output around 120,000 capsules per hour. 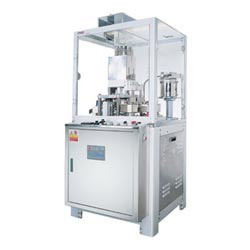 * The machine conforms to cGMP standards. * Electric control system conforms to UL,CE standards. 1. Suitable for the filling of both pills or powder. 2. Filling 400 pills/per tray each time. 3. 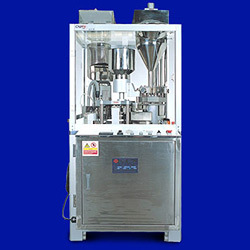 High accuracy in the filling quantity of the capsule. 4. Suitable for heavy pressure filling. * Compression in two stages. * Tabletting compartment separated from drive mechanism. 1. This system includes two counting heads. 2. 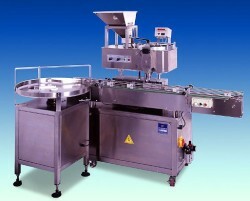 Stainless steel construction meets GMP requirements. 3. The machine stops automatically if bottles back up. 1. 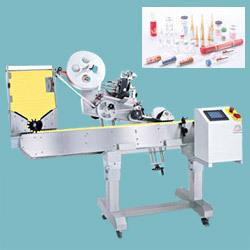 A very reliable and precise counting machine for all shapes and sizes of tablet & capsule. 2. 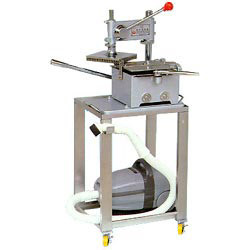 Simple to set up and operate, compact and easy to clean. 3. Very smooth feeding and gentle scrolling of products. 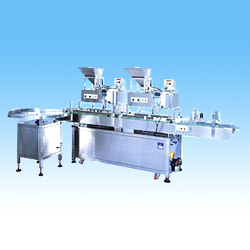 * For medium to larhe batch production. 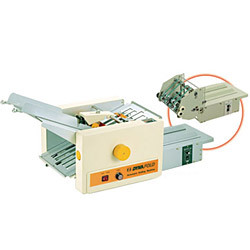 * Allow for single layer tabletting purpose with double-sided output. 1. 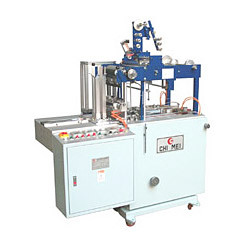 Forming film of reel support with automatic unwinding system. 2. Plate heating system. Lift-off on machine stop. 3. 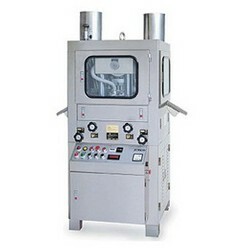 Compressed air forming station. 4. 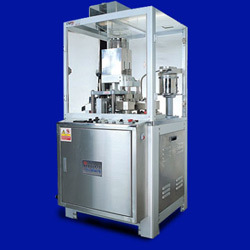 Filling device (automatic or manual). 1. 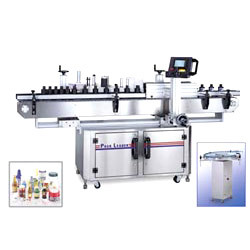 The Auto Labeling has been designed for labor saving, and cost reduction in bottle labeling operations. 5. 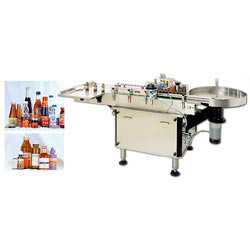 The machine conforms to cGMP standards. 1. 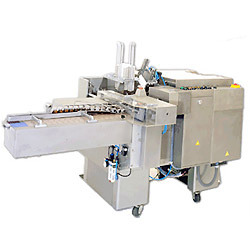 Empty gelatin capsules are fed from a storage hopper to the rectifier, and inserted with the aid of vacuum into one of the 12sets of carrier segments; each carrier segment holds 5empty capsules. 5. Suitable for filling Western or Chinese herbal medicines or health food. 6. 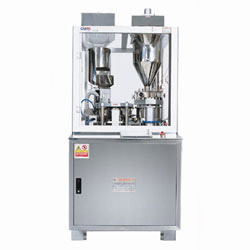 The machine conforms to cGMP standards. 1. 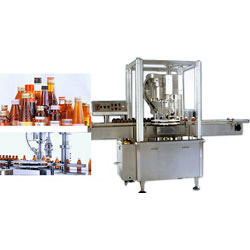 Empty gelatin capsules are fed from a storage hopper to the rectifier, and inserted with the aid of vacuum into one of the 12sets of carrier segmentseach carrier segment holds 5empty capsules. * Suit for all size of capsules. * Can using for tablet powder removing by changing the brush. * Capsule polish and reject the empty or underweight ones in one unit. * Scraps and loose pieces will also reject. 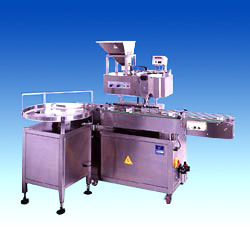 1.Powder level in the filling chamber is controlled by a photo-sensor to avoid powder fill under-welght. 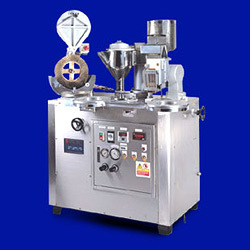 2.Minimal powder contact parts for easy cleaning, with GMP standards. 1. All stainless shell, body hopper and guide meeting G.M.P. requirements. 3. 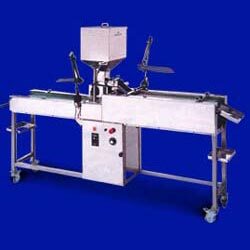 Conveying belt is special, durable & easy to clean. 4. No noise, no public hazard. 1. All stainless shell, hopper and surface platemeeting G.M.P riquirements. 2. Easy to operate., excellet performance and lesser maintenance. 3. Gentle, Non-Scratch brush polishing. 1. 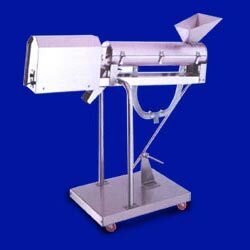 Powder feeding quantity adjusable: The powder feeding quantity can be microadjusted with the operation table. The r.p.m. of the aluminum capsule plate will be shown on the digital electronic indicator. 1. Maximum operation function in a smallest working area. 2. Complex cartoning operations accomplished at the same time. 3. Trouble detection device, simple in operation. 4. Machine inching for ease of adjustment. 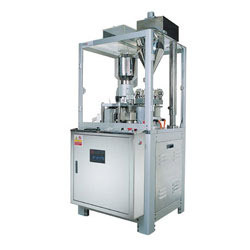 Firstly the tablets are guided into leading spring tubes via guide rails of a vibratory feeder.They are then fed into capsule bodies through a reciprocating pusher device in a safe and firm manner. 1. 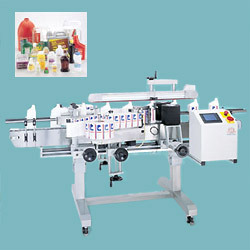 Built in operation manual: is porgrammed into the touch-screen for convenient operation instructions. 2. Built in troubleshooting manual: is programmed into the system for reference when diagnosing problems. 1. Equipped with feeding hopper to save manpower and increase production. 2. Transmitted by mechanic, easy of operation and maintenance. 3. 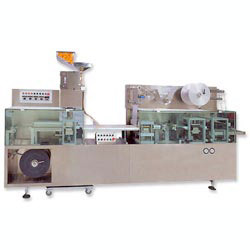 Wrapping films:Cellophane, KOP, BOPP (OPP) and heat-sealable film or paper. 1. Sets standard and non-standard folds in seconds. 2. Adjustable for non-standard and standard paper size. 3. Adopt high precision needle bearing. 4. Simple adjustment for different paper thickness. 5. Compressed air consumption: 200L/hr. 1. Each rack contains 400 capsules. Can be filled in 35 seconds. 2. 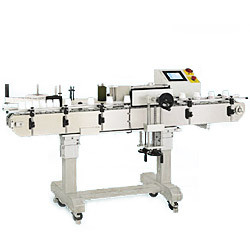 The machine can be operated easily, and can enhance working efficiency. 3. Keeps capsules from being touched by hands. 4. Meets sanitary standards for medicine. 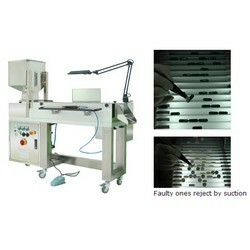 This roller type capsule/tablet inspection machine is designed to inspect both capsules and tablets. 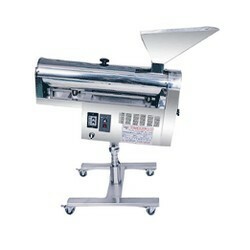 Transfer the capsules or tablets by rollers. The operators check the pharmaceuticals visually.